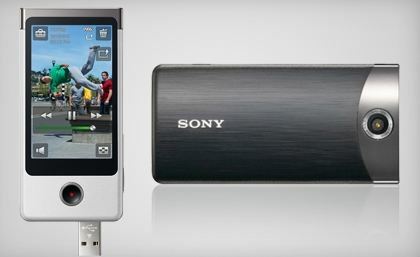 Groupon has a great deal today for a Sony Bloggie Touch MP4 Camera (regularly $179.99) for only $94! This pocket size camera captures hours of HD video and photo! It features a large touch screen, rechargeable battery, and works on Mac & PC. This is a great present and is so much fun! It’s also perfect for capturing those holiday family moments!